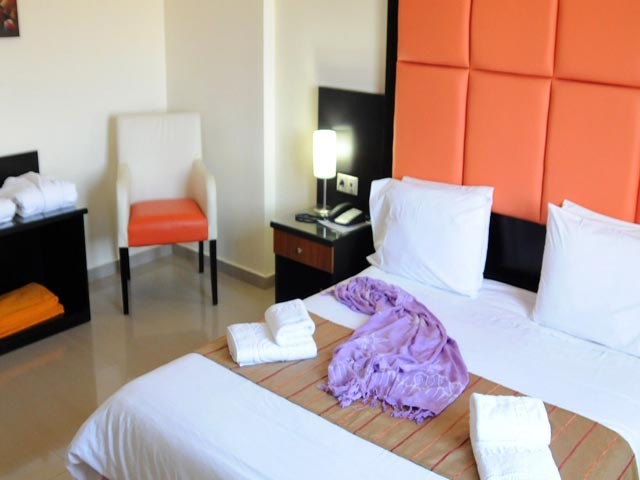 Guests of Chrispy World enjoy all the comforts and the luxurity of a modern hotel unit, in a comfortable and friendly environment. The Hotel's experienced staff is always willing to serve you, but above all offer you the authentic and warm Cretan hospitality, assuring a pleasant stay. 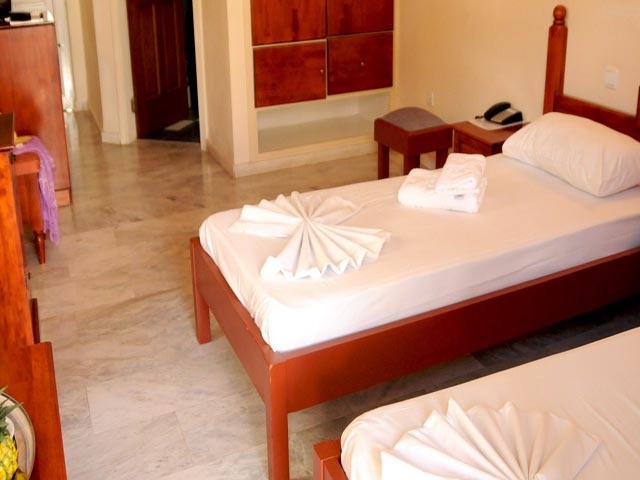 The hotel was first founded in 1990, was fully renovated in 2000 and was expanded with 53 new rooms. offers a multiple-choice recreation potential, providing all comforts even for the most demanding persons. For those keeping out of crowded beaches there are 2 outdoor swimming pools with fresh water along with 2 children's pools. 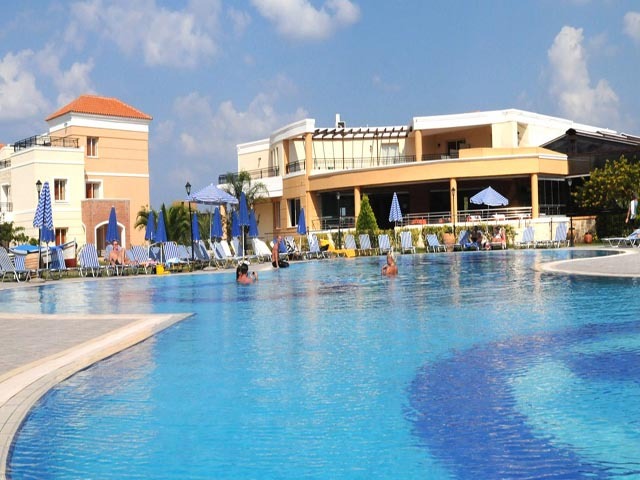 Enjoy at the snack-bar by the pool, a variety of soft drinks, cocktails as well as snacks , ice-creams etc. which are offered from the morning until late in the evening. For sports enthusiasts in the Hotel you can find tennis court, volley and table tennis, pich petanque as well as gym room with sauna and Jacuzzi. For your free time, there is an entertainment room with games, billiard, video games etc. 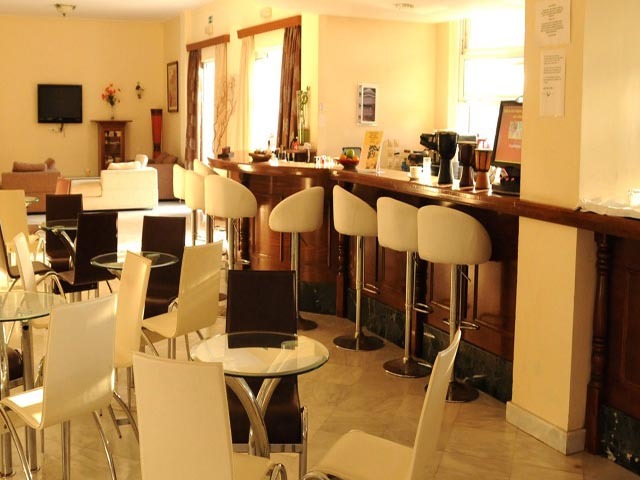 There is a luxurious Restaurant in the sites of the hotel available for you every day. Begin your day enjoying a rich breakfast buffet and continue at noon tasting traditional and other dishes from the buffet and in the evening enjoy your supper choosing among dishes from the menu in Chrispy's Restaurant. 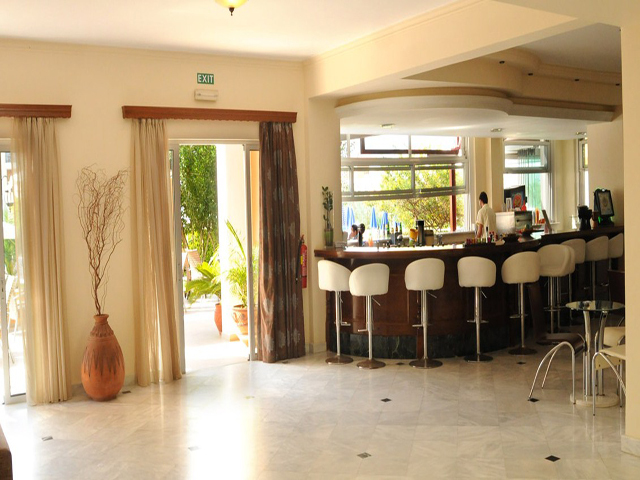 The Bars of the Hotel offer you the perfect environment to enjoy refreshing cocktails, drinks and snacks from the morning until late in the evening. Chrispy World has 130 rooms, with 358 beds, distributed to 9 two-storied buildings that cover an area of 18 quarters of an acre. The 77 of the above rooms are fully renovated and have 208 beds whereas the new buildings built in 2002 have 53 rooms with 150 beds. It is situated in one of the most beautiful Cretan landscapes, Rapaniana village of Kolimbari Municipality. Its geographic position is polymorphic with approximately equals tracts of flat-half-mountainous and mountainous areas. The sea washes the bIggest part of them. As each village comes after the other the landscape changes: the sea, the mountains, the plains, the canyons, the big rocks. Alternating images, which together with the unbounded blue sky and the sun, catch the eye of the visitor. In most villages people are farmers and stockbreeders. They produce the most delicious olive oil, honey, wine and also very tasty meat and dairy products. In the littoral villages the locals are engaged in fishery. Tourism has flourished over the last few years as well. There is a Bus every 30 minutes and a Bus Stop just outside the Hotel. Open: May - October... 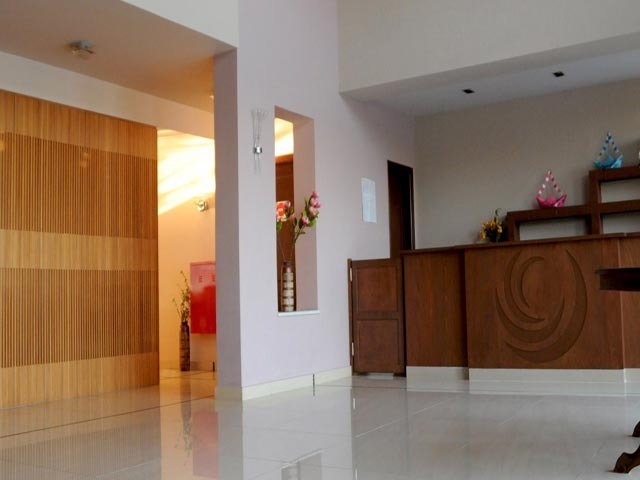 Guests of Chrispy Hotel enjoy all the comforts and the luxurity of a modern hotel unit, in a comfortable and friendly environment. The Hotel's experienced staff is always willing to serve you, but above all offer you the authentic and warm Cretan hospitality, assuring a pleasant stay.